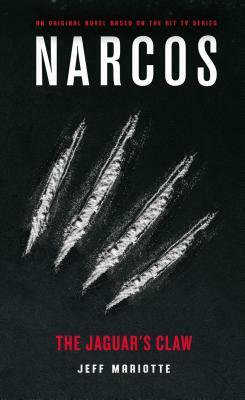 The first official Narcos tie-in novel tells the story an idealistic young Medellín police officer who finds himself drawn into service to Pablo Escobar. Jose Aguilar Gonzales becomes one of Escobar's top sicarios--before exposure to the human costs of the cocaine epidemic, combined with personal tragedy, turn Aguilar against his former patron. Through Jose's eyes, we see the inner workings of the Medellín Cartel and get to know the powerful, charismatic, and murderous man at its head. Jeff Mariotte is the award-winning author of more than seventy novels, including crime thrillers Empty Rooms and The Devil's Bait, supernatural thrillers Season of the Wolf, Missing White Girl, River Runs Red, and Cold Black Hearts, horror epic The Slab, and the Dark Vengeance teen horror quartet. Among his many novels set in existing fictional universes are NCIS: Los Angeles: Bolthole and NCIS: New Orleans: Crossroads. With his wife, the author Marsheila Rockwell, he wrote the novels 7 SYKOS and Mafia III: Plain of Jars and numerous shorter works. He also writes comic books, including the long-running horror/Western comic book series Desperadoes and graphic novels Zombie Cop and Fade to Black. He has worked in virtually every aspect of the book business.